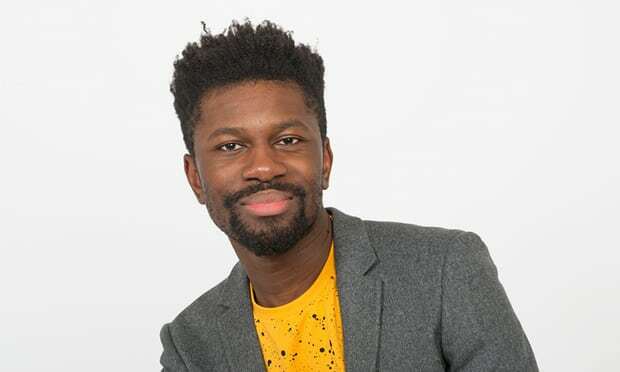 Michael Donkor was born in London, to Ghanaian parents, and teaches English Literature in West London. 1. The preservation and garnering of material wealth is highly valued by the communities in the novel. Scenes from Aunty and Uncle’s mansion, Nana and the Doctor’s home, the party at the Yeboah’s, and Mary’s funeral are laced with visceral images of decoration, food, and showy displays. How would you characterize Belinda’s relationship with such things? 2. The novel is written in a third-person limited perspective. Each chapter focuses on either Belinda or Amma. 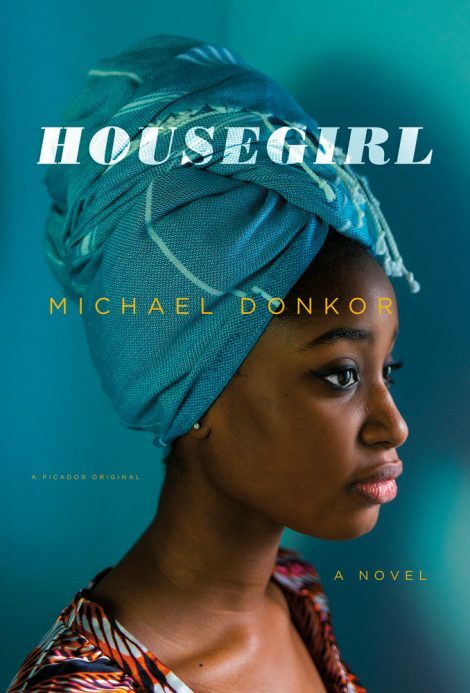 How might your understanding of the characters shift if Donkor had written in first-person? What kinds of information might be revealed or, alternately, obscured? 3. Characters in the novel explore different capacities for imagination. For example, Amma creates art, Belinda weaves herself stories and studies literature, and Belinda teaches Mary to inhabit a make-believe character. What function does power of imagination serve, particularly in helping these women face their hardships and traumas? How do their imaginations pair with rationality as a problem-solving skill? 4. Amma’s queerness, her artistic ability, and her intellect all set her apart from those around her. She must constantly decide whether to conform to expectations or defy them, although each relationship offers her unique safe spaces. What does she value in her relationships with Belinda, Nana, Roisin, Helena and her other friends and family? 5. Consider instances of art in the novel. Amma reminisces on Alexander Calder sculptures, Belinda takes a literature course, Belinda sends Amma a Jack Gilbert poem, Amma draws, and at the end of the novel, even Belinda begins to draw. How do the women grow and develop from their encounters with art? 6. As a child, Belinda had to learn how to care for her mother and was subsequently sent away to work as a domestic servant in both Ghana and London. Housework is a coping mechanism she slowly grows independent from. What catalyzes this change? What other forms of caretaking, nurturing and intimacy occur in the novel, and when do they fail to suffice? 7. Belinda’s phone calls with Mary are the main connective tissue between Britain and Ghana after Belinda moves. What makes her so hesitant to share her new life with Mary? What makes London different from home? What things stay the same? 8. At one point, Belinda thinks about “This bad behavior, badness, sickness, strangeness in the blood, handed down from mother to daughter” (168). Think about the characters’ individual histories and the roles those histories play in their daily lives. Are they shaped by their circumstances, or do they fight circumstances? 9. The scene of Mary’s vivid funeral—and the events leading up to it—accounts for the majority of the end of the novel. How does Donkor’s writing style in these chapters relay the stream of emotion Belinda encounters during it all? Does she embrace or reject the traditions? 10. Belinda’s relationship to her mother undergoes a shift over the course of the novel. What is it that makes her decide to go back to her hometown of Aderabaa at the end? What does she have to gain or lose from seeing her mother again? ‘What you worried for?’ Mary arched an eyebrow. ‘I have seen all before. Nothing to be ashamed for. And we both knowing there is gap beneath shower door and I’m never pretending to be quiet about my watchings neither. You probably heard me while I was doing my staring. Even maybe you seen my tiny eye looking up,’ Mary squinted hard, ‘and you’ve never said nothing about nothing. So I think you must relax now. I only’ – Mary tilted her head left, right, left – ‘wanted to see how yours are different from mine.’ She pulled up her vest and Belinda quickly rolled it down. A ringing quietened in Belinda’s ears. ‘And, and here is me ready to speak about treats for you,’ Belinda began. ‘Wait and see,’ Belinda said.